Children in elementary attend the first 15 minutes of the Sanctuary worship service with their families before attending their Religious Education class. Throughout the year, there are also a variety of special worship opportunities for children, youth, and adults of all ages. 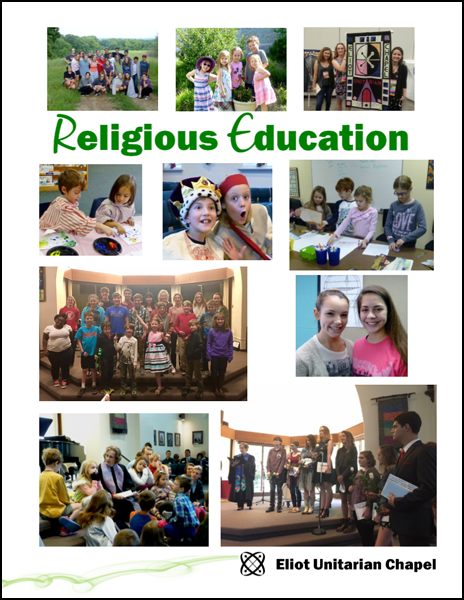 Click here or on the picture below to download the current Religious Education brochure. 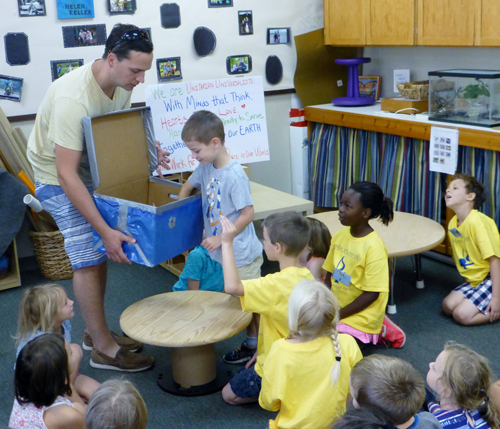 Elementary children spend the year using age-appropriate curriculum and resources to explore Unitarian Universalist identity, liberal religious values, different faith traditions and spiritual practices, and the church’s monthly themes. Classes are taught by volunteer teachers and staff, and designed to provide children with opportunities to explore Unitarian Universalism, develop their own UU identity, explore liberal religious values, strengthen their own spiritual journeys, and enhance their sense of religious community. During the church program year (September-May), elementary classes will meet during the 9:30 and 11:00 worship services most Sundays. 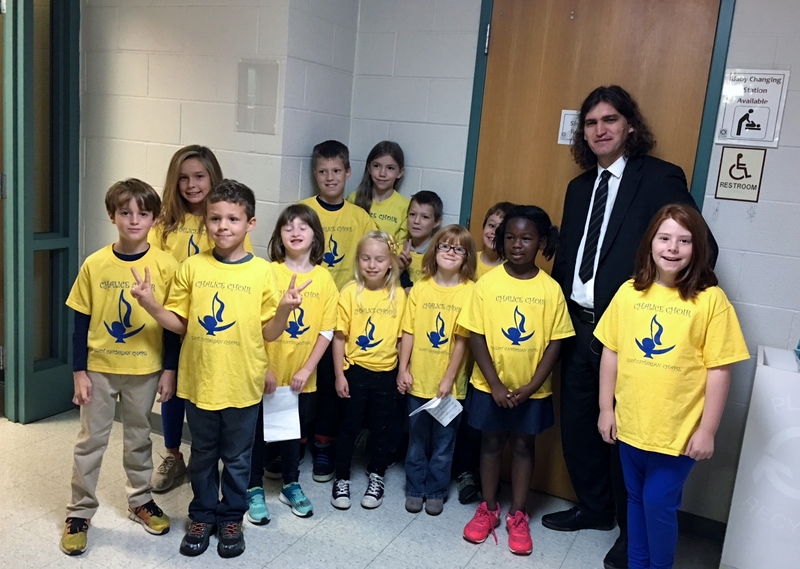 A variety of Unitarian Universalist curricula and resources are used in elementary classes. What are some of the other resources elementary children explore? Picture Book Bible Tales, Picture Book World Religions, and Picture Book Unitarian Universalist, which you can learn more about here. The Unitarian Universalist Association’s (UUA) Tapestry of Faith programs, which you can explore here. Spending time each month exploring Eliot Chapel’s monthly theme using age appropriate resources. Participation in the Our Whole Lives sexuality program for K-1st and 4th-5th grades, offered every other year to families who elect to participate. You can learn more about Our Whole Lives here.